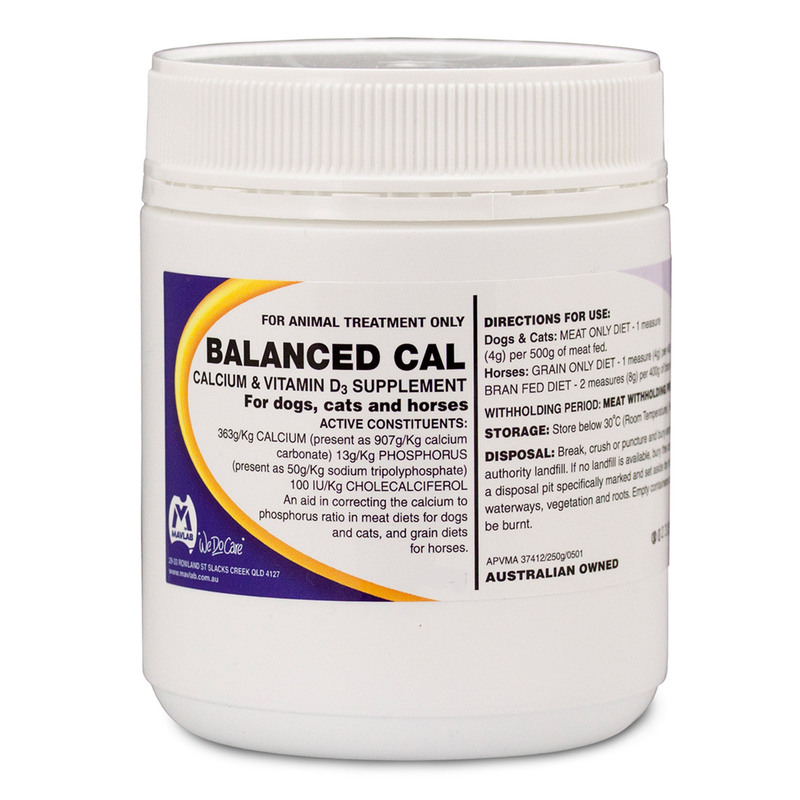 Balanced Calcium powder is a food supplement that corrects calcium phosphorus ratio in cereal and non-veg diet of cats and dogs. It contains calcium and vitamin D3 required for regulating metabolic processes in pets. The food supplement meets up the deficiencies of a balanced diet for pets. Calcium, phosphorus and cholecalciferol are the active ingredients of Balanced calcium powder. The blend of ingredients in the powder works as a food supplement for correcting the calcium/phosphorus ratio in cats and dogs. It also fills up the gap of calcium deficiencies in the pet’s food. The result is improved metabolic processes and general wellbeing of the pet. A great food supplement that improves the overall well-being of my pet and at the same time is palatable.